The “official” description (which I got later) was Lavender Vanilla Bean Cupcake with Honey Lemon Frosting topped with chocolate bunny and chocolate square garnishes. I picked off the chocolate bunny and flowers to keep my niece busy (she loved those) and decided to cut the cupcake straight down the middle so I could get down to business and figure out what exactly it was that I was eating. Right away, I noticed a hint of lavender and thought it was actually quite nice. I also picked up on the lemony sweetness of the frosting. 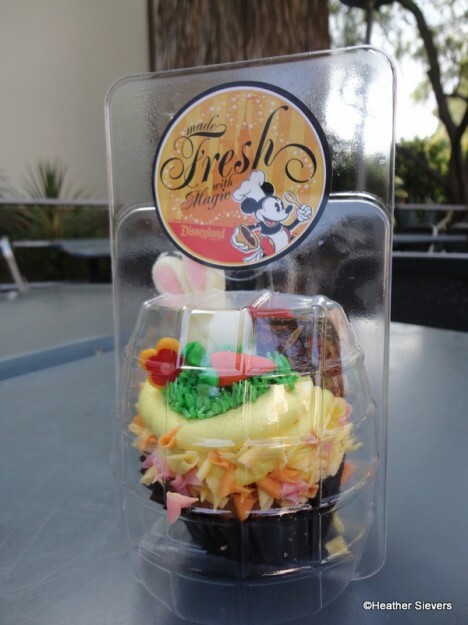 Something I am not a huge fan of though, is a cupcake served out of a refrigerator, which is the case with most Disneyland cupcakes. I’ve found that it is best to let them get to room temperature before digging in. This takes away the harder texture of both the frosting and the cake. BUT with a two year old, this really isn’t possible. Unfortunately my niece tried one bite and wasn’t a fan. She did however love the frosting — and the green stains on her white Minnie sweatshirt proved that! Once she had eaten most of the frosting and I had had my fill of cake, I popped her back in the stroller and headed straight back to Trolley Treats to ask just what exactly that cupcake was all about — which is when I got the “official description” noted above. I really give Disney props for offering such an interesting cupcake. It may not appeal to everyone, but my taste buds thought it was a fun new flavor to experiment with. I am happy to report that once I got home, I tried the second half of my cupcake and it was perfect! After its two hour stay in the bottom of the stroller, the cake and frosting both warmed up to perfection! So, if you want to “warm up” your cupcake a bit, just be sure to ask for it to go. They will pack it up in a caramel apple box for you upon check out. 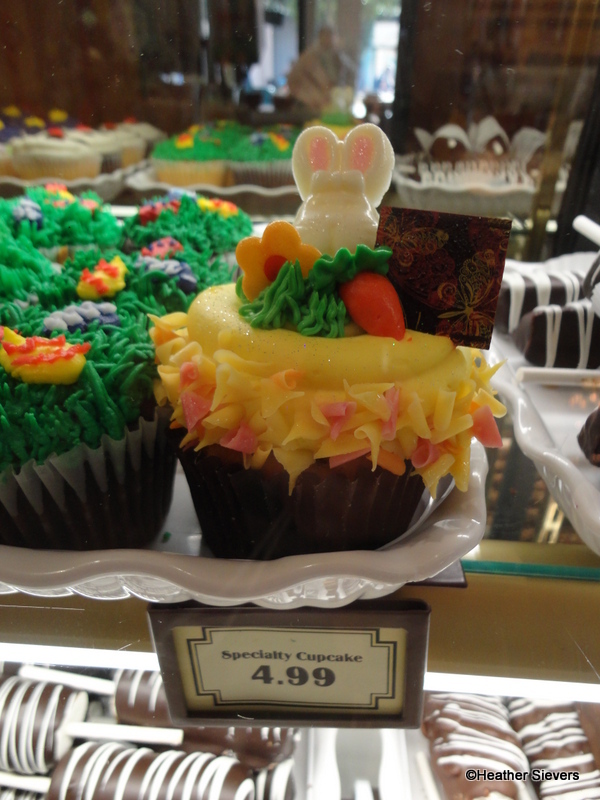 Specialty Easter Cupcakes can be purchased at Trolley Treats in Disney California Adventure and Candy Palace in Disneyland. 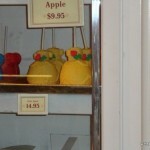 Although I did not see them there, the Specialty Cupcakes are sometimes available at Pooh Corner in Disneyland as well as Marceline’s in Downtown Disney as well. Have you tried the Specialty Easter Cupcake at the Disneyland Resort? What did you think? 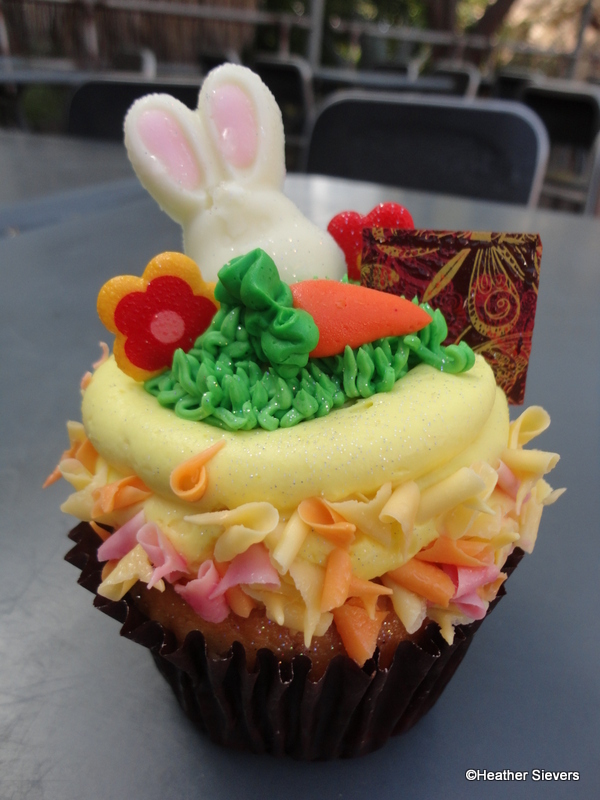 See more Disney Cupcakes in our Disney Cupcake Gallery! 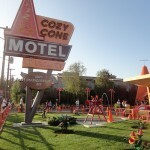 « DFB Podcast Episode 14: Best Disney Hotels for Dining! That sounds so delicious, and looks just gorgeous! 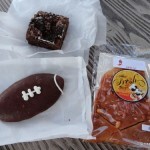 I love seeing unusual cupcake flavors like this! 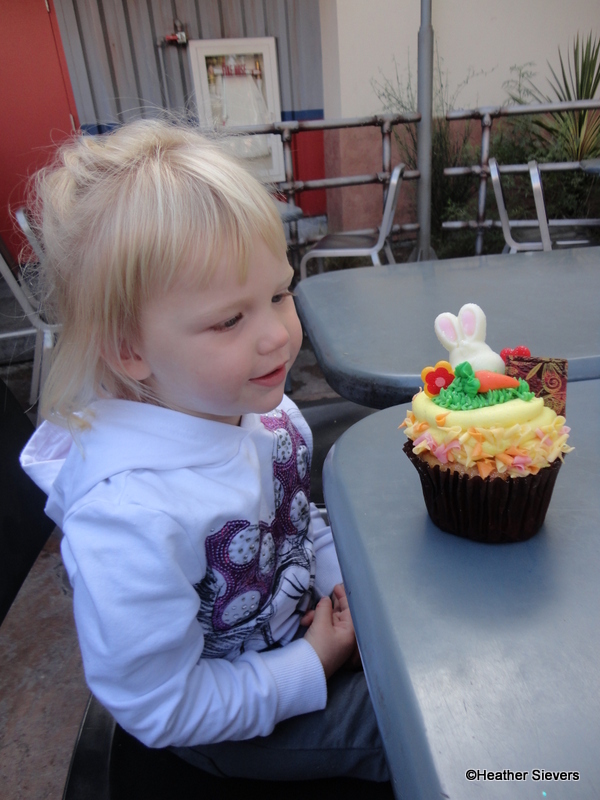 The picture of your niece looking at the cupcake is adorable! The cupcake looks almost as big as her cute little head 🙂 Sadly, those will be long gone by the time I get there in August, but I’m sure they will have something else interesting to try. @Darlene – Thanks! I have boys so I love spoiling my niece. 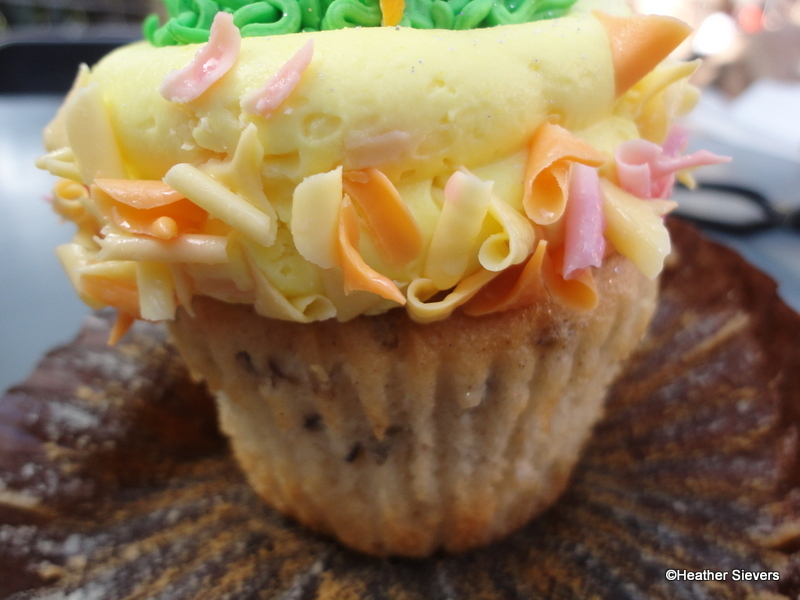 I purchased this cupcake at Jolly Holiday Bakery last week. I also did not ask about the flavor. It warmed up to room temperature as we ate dinner. I did like the frosting, as you did, not overly sweet as I feared it would be. 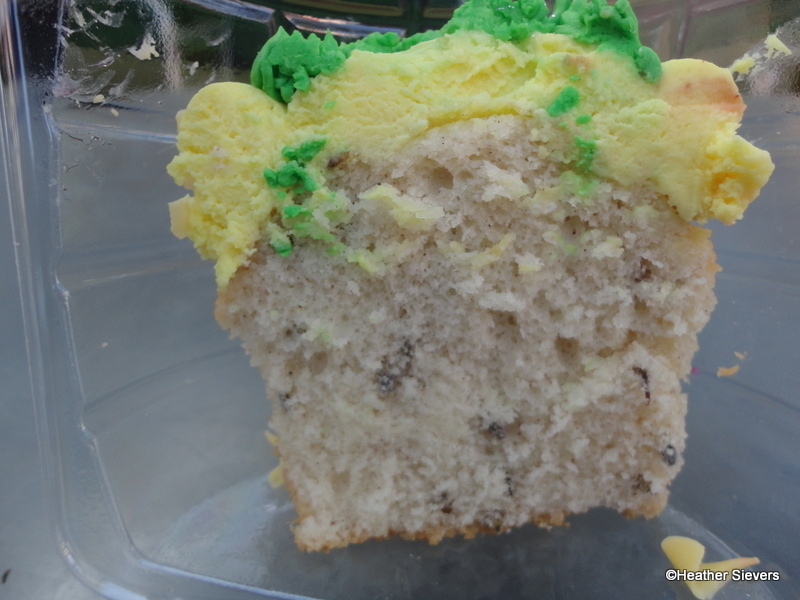 Did not care for the lavender specks; just don’t like greens in my cupcakes. I’m glad I tried it but would not order it again. So glad they are trying some new flavors and dressing them up. @Maus – Thanks for sharing. 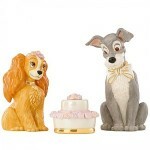 I didn’t know it was also available at Jolly Holiday. 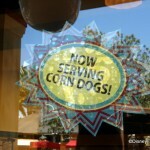 They really should put signage stating flavor where it can be seen. It was quite a surprise to me! I don’t know which is prettier…the cupcake or your niece!